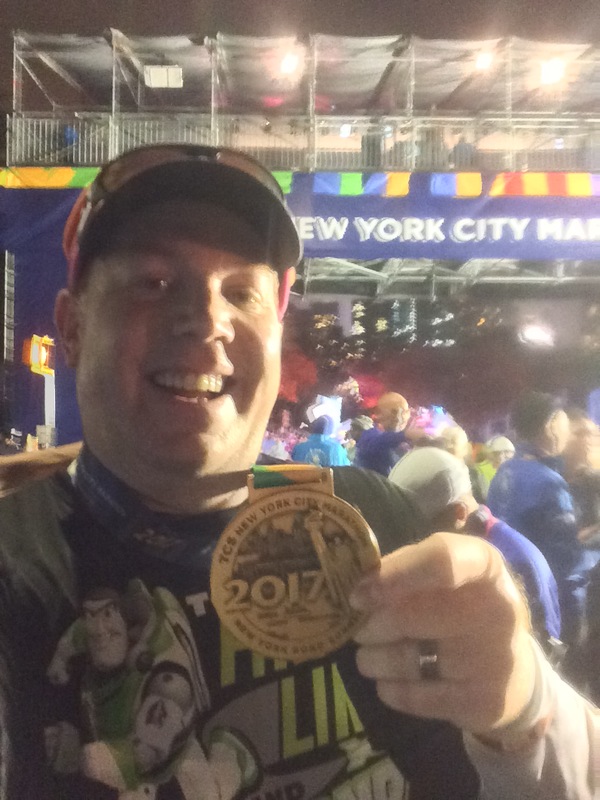 So, yesterday, I covered week 3 of my Rock n Roll San Diego Half Marathon training. Today, I’ll cover week 4 (last week). With the week starting off on a holiday (President’s Day), I thought getting in my second straight Monday run was a no-brainer. I was wrong. You see, my boy had come down with his first illness. He was out for the week of day care with a throat infection. We knew he wasn’t himself over the weekend. 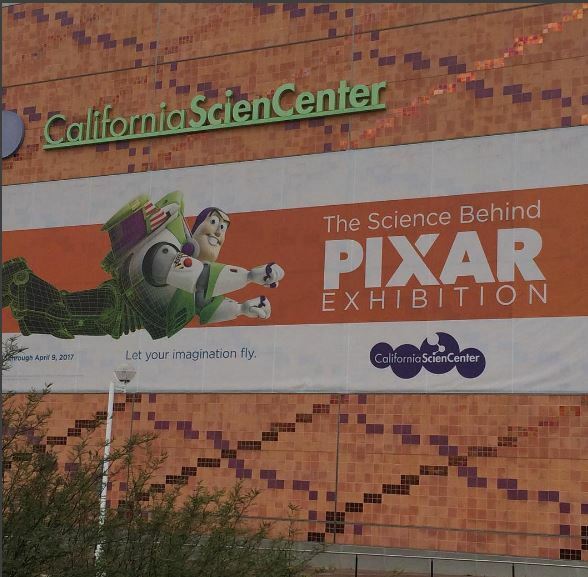 So, my wife and the boy did not accompany me to the planned trip to “The Science Behind Pixar Exhibition” at the California Science Center. We had purchased tickets the week before thinking it would be a fun thing to do as a family on the holiday. Since we did pay money for this exhibit and I wanted to go more than my wife, she sent me to go with out them. While I would have had more fun with my wife and boy, I still had fun at the exhibit. This exhibition will not be around much longer. So, if you’re a Southern California local and want to go, now is the time. I loved this exhibit so much that I’ll have to do a more proper post on the exhibit itself. I spent almost an hour and a half at the exhibit all by myself. If the boy and wife were with me, I know we would have been there longer than an hour and a half. Not only did I get to the Pixar exhibit, but I finally got to see the Space Shuttle Endeavour! I’m a huge fan of the space program. I still remember watching the Space Shuttle Colmumbia take off and land after its first mission in elementary school. As a matter of fact, one of the kids in my class had a dad that worked for McDonnell Douglas that year. For Career Week, we got lots of fun NASA freebies about that first space shuttle mission! 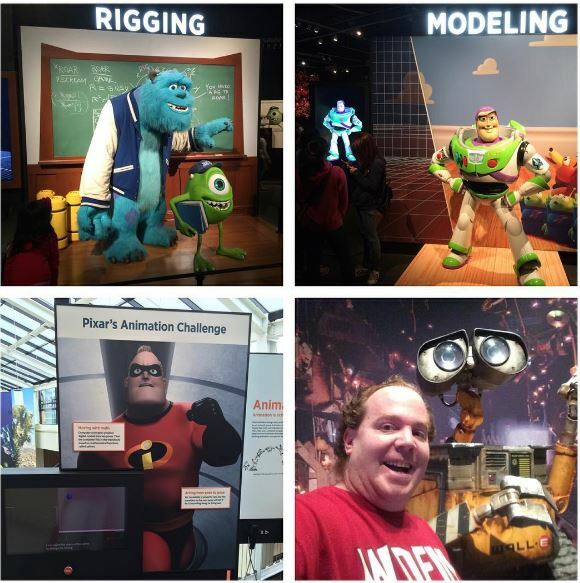 I think the boy would have enjoyed the Pixar exhibit a lot more than the Space Shuttle . For me, the Space Shuttle exhibit was just as cool as the Pixar one. 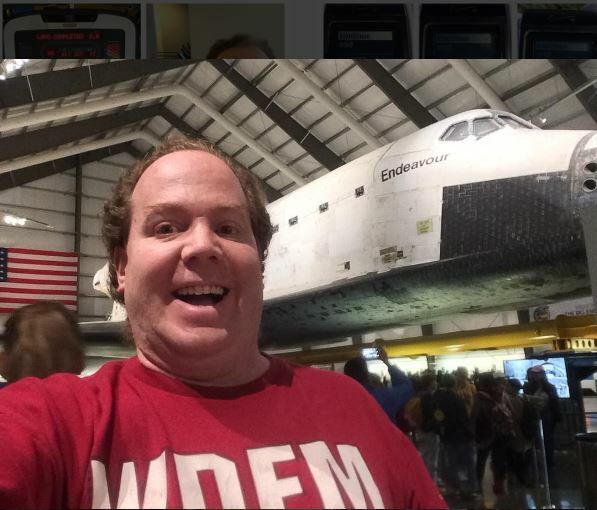 Seeing a space shuttle in person was amazing! Everything about this exhibit was done really well. We’ve had this shuttle out here in LA for quite some time. So, getting there was something I’ve wanted to do for a few years now. Totally worth the wait! 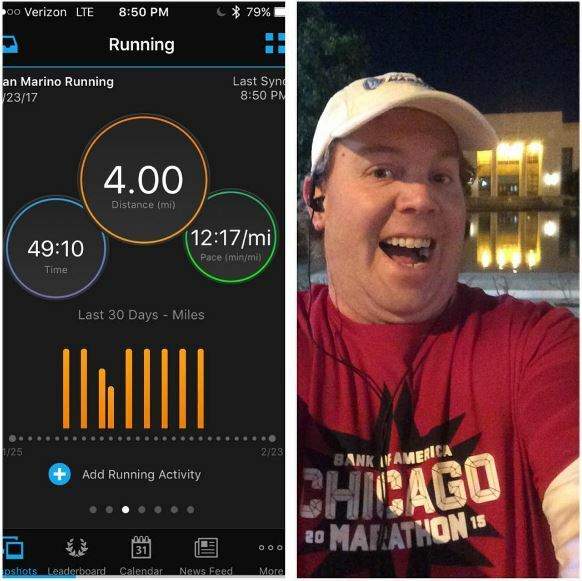 Unfortunately, by the time I got home, I was pretty tired and decided to push my first run of the week to Tuesday. On Tuesday, it got pushed to Wednesday. On Wednesday, it got pushed to Thursday. So, on Thursday, I finally got out the door. Being displaced temporarily isn’t all fun. It really makes life seem different. Since I wasn’t staying in our apartment, I had to adjust my running route. I still got in all 4 miles. However, the route was different. I went with the same intervals as the week before. Miles 1 and 4, I would run 25 seconds, walk 95 seconds. For miles 2 and 3, I ran 25 seconds, walked 35 seconds. Running over a different route is fascinating. All the visuals I anchor my runs to were gone. So, this run had not frame of references to measure success or failure. This route is different in that it is largely uphill for the first two miles and downhill for the last two. When I look over the splits, many times I’m totally surprised. This is one such case. As I’ve looked over the splits for weeks 3 and 4 on those mid week runs, it turns out that this run was my fastest first mile! It didn’t feel that way while I was running. That just shows how not having those reference points can really affect how you go about your run. I need to get better at just focusing on hitting all the intervals and leaving the results to be whatever they will be. Finishing mile 2 at 24:25 was a pretty good time over this course. However, finishing the 3rd mile at 36:01 was not. Evidently, I make up more time in miles 2 and 3 of my normal 4 mile mid-week run than I did in mile 3 of this route. Also, mile 4 would have gone better if I had kept to the run 25 seconds, walk 35 seconds intervals. I knew that I wasn’t under 36 minutes for 3 miles. So, it was truly practicing patience to make the planned switch and not push to see how fast I could have been. Still, I didn’t loose nearly as much time as I was thinking I would have lost over this different route. I lost 17 seconds from the previous Thursday. Given that I had missed my 5 mile long run, gym workout, and 4 mile run between these runs, this result isn’t all that bad and illustrates how much I lose when I skip a run and/or workout. 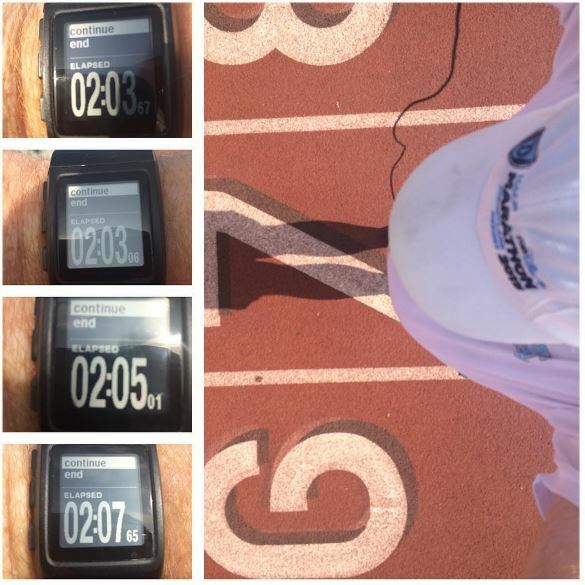 On Saturday, I headed out for my first track workout of this training cycle. It’s only the fourth time I’ve made a track workout. Previously, I did a Jeff Galloway Magic Mile run, a 4 x 800 training run, and a 4 x 400 training run. Each time has taught me some things. However, I have yet to move beyond a 4 x XXXX kind of track workout. This time out, I almost didn’t make the track workout. At my usual track, there was an event and I couldn’t run there. So, off to South Pasadena High School I went. Luckily for me, I got on the track! If I’m being honest, I had two big goals heading into this workout. First, I wanted to finish an entire 400 without walking. Second, I wanted to finish all of my 400’s in under 2:35. As you can see in the graphic above, MISSION ACCOMPLISHED! Back in August, I got the above times. However, in all 4 laps, I stopped the clock in the last turn to catch my breath. So, I can’t really compare that with this time around. 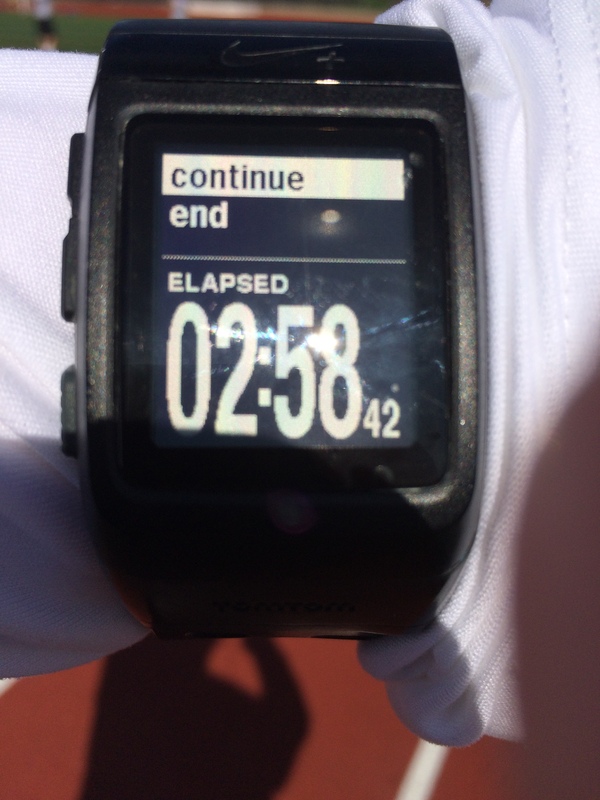 In the second 400, I did actually stop half way through the last turn and stopped the watch. I need to be honest here to remember this workout exactly as it happened. So, the second 400 time of 2:15 is a bit misleading. On the third 400, I decided to see how far I could go before feeling the need to stop. Again, it was right as I hit the last turn. So, I walked 30 seconds and took off to finish the 400. When I saw the time was 2:28, I decided to do the same with the last 400. 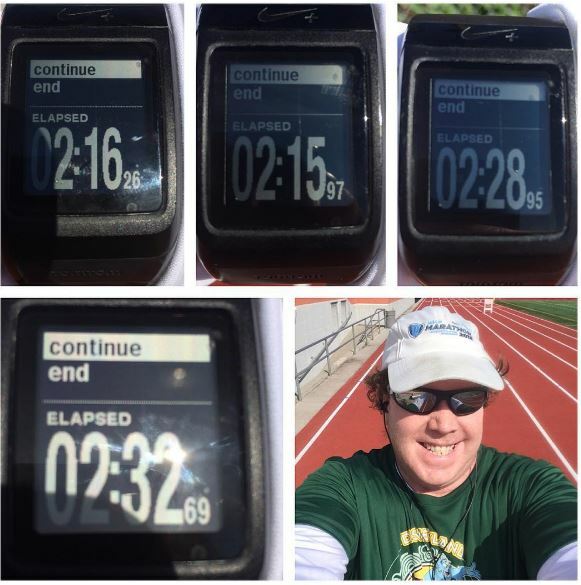 Finishing the last 400 in 2:32 meant that I hit both of my goals for the day! Since I was at the track, I decided to throw in an extra lap. This one I did a run 25 seconds, walk 35 seconds to see what that would look like. After missing the previous two Sundays at the gym, I knew it was time to get back at it. After all, I kind of feel like my track workout from the day before would have been a little different if I had run 4 x 400’s on the treadmill for the previous 3 weeks. The big decision for me was whether or not to follow the plan and do 6 x 400’s on the treadmill or to go back and try another 4 x 400’s. I decided to push forward and go for 6. I’m happy to say that I made it through all 6! However, it wasn’t a true 6 x 400. As I ran my first 400 on the treadmill, the belt you run on slipped a few times. To be honest, it was a little scary. I was glad that I didn’t fall off the treadmill altogether. So, I stopped the treadmill and hopped onto another one. Right before the last 400 of running, a friend of mine was at the gym who I haven’t seen in a while. So, I stopped the treadmill to catch up. We talked around 5 minutes. 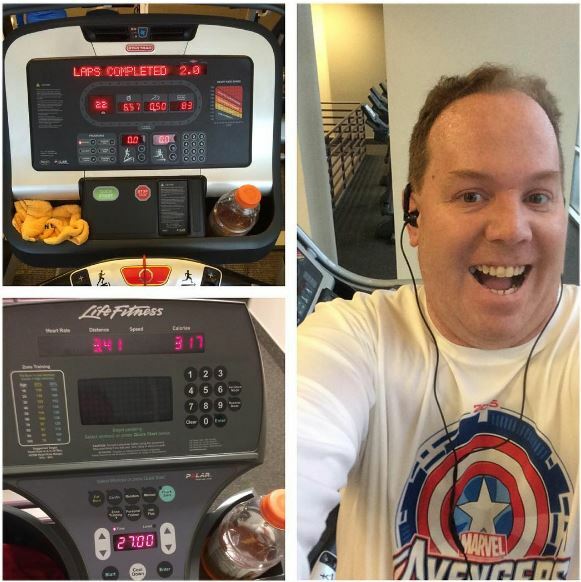 After that, I got back on the treadmill and started the last 400. So, I did finish all 6 of my 400’s. But, it wasn’t continuous. Now, to be fair, I think I would have still made it through that last 400 even without stopping. I ran at 5.5mph and walked at 3.5mph. The time for each 400 was around 2:41. So, these were a little slower. Next time, I think I’m going to up the speed a little. After the treadmill, I got in work on my abs, the leg press machine, assisted chin ups and dips, and 27 minutes on the elliptical machine. It was a good workout! 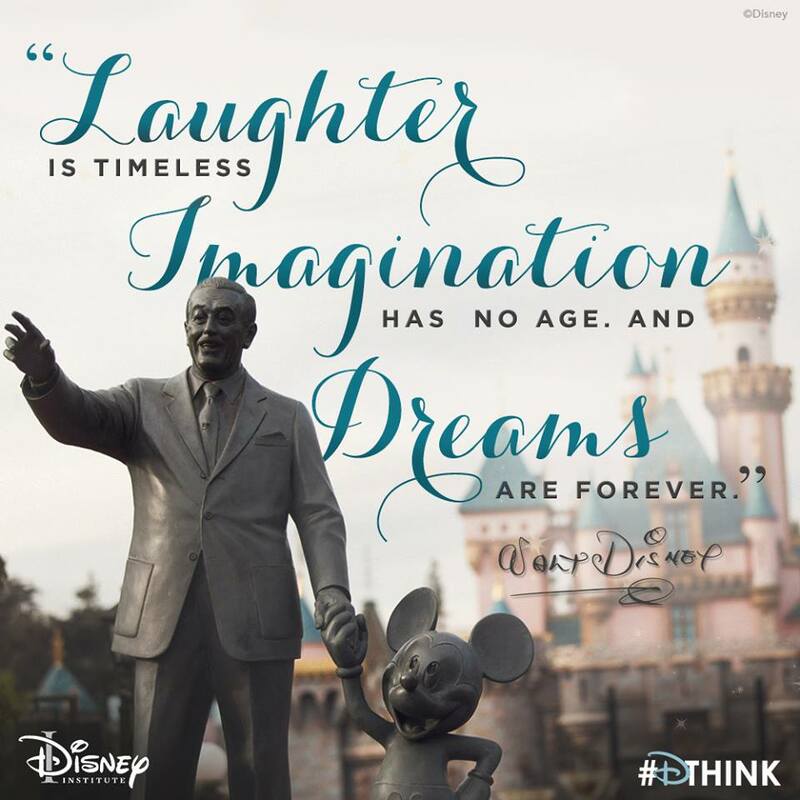 It’s time to take on week 5!